The design of this layout was actually inspired by one of Nancy Damiano's layouts. A one pager that I stretched to a two pager. The floral paper, striped paper, and thickers are from American Crafts' Dear Lizzy Neapolitan collection. The green grid paper and the alpha stickers that spell out "first" are from My Little Shoeboxes' Lovely Day collection. The striped yellow paper is from Echo Park's This & That - Charming collection. The pennant banner is by American Crafts (flutterbys). The owl in the middle of the photos is from American Craft's Daydreams collection. The owls that are around the title are from Bella Blvd's Finally Fall collection. The envelope is filled with memorabilia. Inside you can find a napkin from the birthday party, one of the invitations to the birthday party, and two extra journaling tags to tell of a few memories from the party. It is fastened with Doodlebug twine and Dear Lizzy Neapolitan brad. I wrapped Bazzill Basics' Vintage Marketplace paper tape around the bottom corners just to add a extra interest to that area. 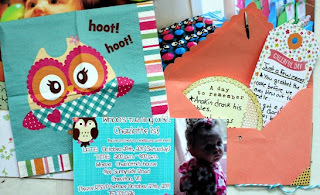 As you can probably tell from the pictures on the layout - the reason I went with 'owls' is because that was the theme of my daughter's 1st birthday party. 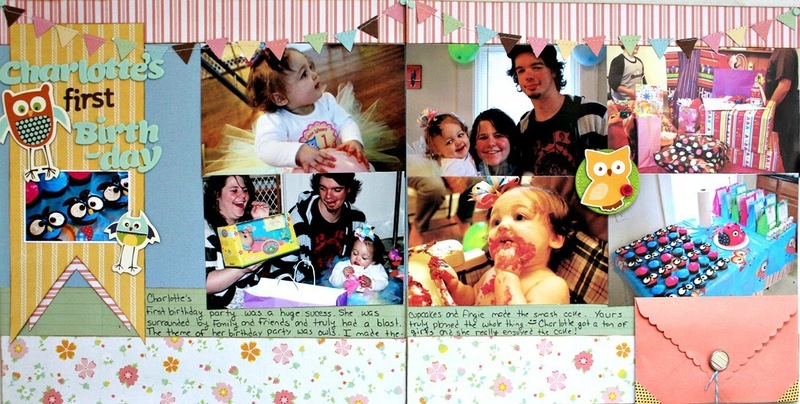 I blogged about her birthday party a few months ago. Feel free to take a look! I still have a ton of photos from her birthday party that need to be scrapped. I think I am just going to add them in divided page protectors and put them behind this layout in the album. I may spruce it up with some 4x6 cards though. We'll see! Love what you have done here! Two pagers are out of my comfort zone too - yours turned out great! love the large banner down the left and the owl is so super cute! Very cute...love the banner and owls. Lovely colors. TFS! This is fab!love it! Can't wait to see more of your work at colormescrappy! Congratulations to you too! They intimidate me too! I've been trying to get some practice in and do one at least once a month. I love the way this came out! I knew you could do it! Don't you love how you were able to use more larger photos? I admit I don't do them often but I do like them when I do. Great job, and not just because I am in love with owls. Love what you did here!! Fabulous 2 pager!! what a great layout! And those photos are so cute!!! Great job on the 2-pager! 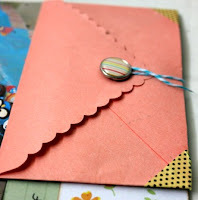 Love the cute banner and the little envelope that you included. Great 2 page layout! I really love what you did with the envelope. 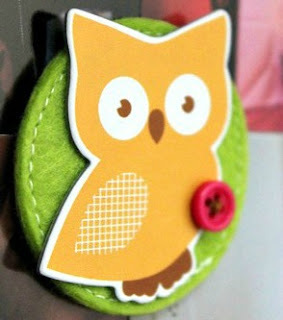 cute layout and love the little owls.. Thanks for sharing. Your two page spread turned out amazingly. I only do two page spread...well thats when I actually scrap. Well you did a fantastic job! Love all the photos you included and how everything goes so well together- the design is really beautiful as well. I would say go on and put yourself in uncomfortable scrappy places more often- your talent really shines! I shy away from 2 pagers too ;) This turned out beautifully though, and makes me want to give it a try again.